In order to protect drones from collision impact, researchers from Imperial College London Aerial Robotics Lab designed a shield inspired by the art of origami paper folding. The team equipped drones with lightweight, impact-absorbent cushioning to protect them from bumps and scrapes. Their research demonstrates how drones equipped with the Rotary Origami Protective System (Rotorigami) incur less force and damage during a collision, and are therefore able to keep flying after impact with obstacles. “Using an origami-inspired protective layer, we have built a way to let miniature flying robots navigate in confined or cluttered spaces safely and efficiently,” said Dr. Pooya Sareh, who led the research. Dr. Sareh and colleagues folded a thin, lightweight sheet of plastic into a descendant of the Miura-ori fold– a simple origami pattern particularly suitable for engineering applications. 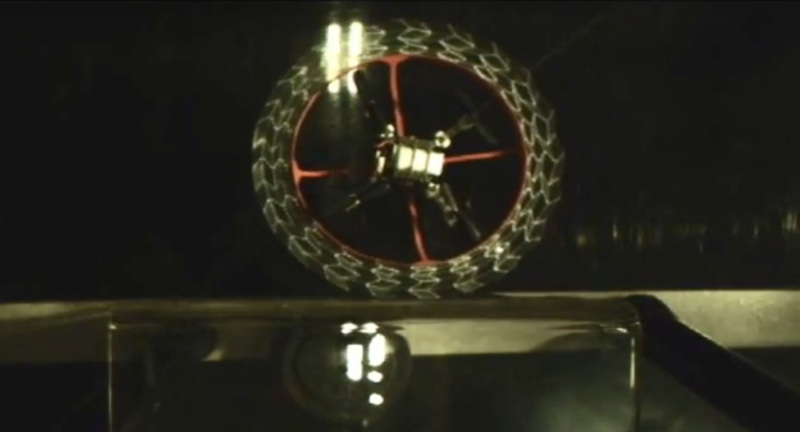 They built the protective structure around a rotating inner frame, as shown in the video above. This structure protected all the propellers at once from side-on collisions, and helped keep the vehicle in the air during and after impact. The team found that the protective structure helped reduce the force of an impact, and helped keep the drone from uncontrolled spinning after impact, keeping the drone upright afterwards. Although drones are equipped with obstacle detection and avoidance software, they often fail to avoid obstacles that are less easy to detect like windows and wires. The bumper equipment therefore protects the drone from any crashes that do happen. “Many insects, such as flies or bees, use a combination of impact-avoidance techniques and impact resilience. They largely rely on collision sense-and-avoid systems – but they also have protective structures in case a collision does occur. We applied this very concept to our work here,” said Project Principal Investigator Dr. Mirko Kovac, Director of the Aerial Robotics Laboratory at Imperial in the Department of Aeronautics, as reported in uasvision.com. In future, researchers want to use their origami bumper on larger drones that navigate rainforests, or ones with heavy loads like blood delivery for transfusions.